The FAA expects that the MAX grounding will be lifted at the end of May or by mid-June. 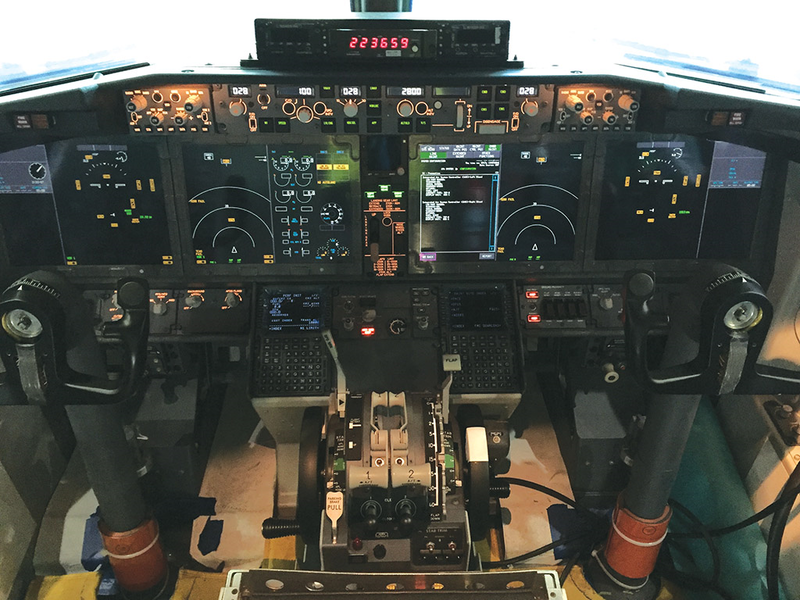 Boeing developed a software fix and enhanced pilot training. It has demonstrated the software to pilots from airlines who ordered the MAX and the results are very positive. Boeing's stock recovered to $395 before the announcement of the MAX production cut. However, the suppliers are still producing at the higher planned rate, so production can be increased rapidly. Boeing (BA) has fixed the 737 MAX software problems and it is ready to go. However, the regulators, airlines and, most importantly, the traveling public want more reassurance. The time to reenter passenger service is dictated by them, not the technology. Boeing is attempting to build confidence among pilots by installing the new software on simulators at pilot training facilities globally. The FAA estimates that passenger flights could begin in late May to mid-June. It is a buy. The Indonesian and Ethiopian crashes were both caused by MCAS (Maneuvering Characteristics Augmentation System). The angle of attack sensor in the Ethiopian crash appears to have sheared off in a bird collision soon after take-off. The pilots may not have followed Boeing procedures. This is currently being reviewed for the preliminary accident report. Both of these accidents demonstrate that MCAS lacks a second source of data. It was an overly aggressive program, which took control away from the pilot. Angle of attack data will now be taken from both sensors. The new software screens the data for inconsistencies. If they are different by a significant amount, that will appear on a cockpit's screen. The force applied by MCAS is reduced, so the pilots can easily override it. After the first pilot input, the system does not repeat. Pilot training on these issues will be increased and simulators will be used to train for a sensor error. No hardware changes are planned. If MCAS is engaged, it will be seen on the outer two of the six full screens, below. Boeing now plans to delay the submission of the new system for approval until around the beginning of May. Boeing will use the extra time to build support for the revised system. The FAA lost credibility as a result of the crash. Boeing is spending so much time with foreign regulators, airlines, and pilots. They have demonstrated the new system at training centers in the UK, Singapore, and China. Boeing CEO Dennis Muilenburg said that as of April 11, there were 96 test flights with the revised system. The new system was demonstrated for two-thirds of the 50 MAX customers and their pilots. The demonstration includes a simulation using data from the Ethiopian crash and the current system. Then the new system is tested in the simulator. The pilot reaction has been very good. Boeing has said the MCAS problem is a one-off situation. The FAA has said that it expects to approve the new system by the end of May or mid-June. Not all airlines accept this schedule. Some airlines have MAX planes scheduled in May while others have the plane returning in August. Boeing also plans increased training with simulators. For every month the MAX is grounded, Boeing loses one and a half billion dollars of revenue. However, this can be made up when deliveries resume because Boeing suppliers have not cut back. Therefore, the recent cut back in production should be made up in 2019 if the grounding is lifted in June. Boeing will pay compensation to customers whose planes could not be used. Boeing has been sued for misleading shareholders and for passenger deaths. These normal suits must be expected. The loss of life of the passengers is covered by the Warsaw convention. This greatly limits compensation. To get around that, some cases will be filled in US courts. In my previous analysis, I estimated that Boeing would lose $1 to $2 billion with a May 1 lifting of the grounding. Now that this date is extended to mid-June, the cost should increase another billion to $2 to $3 billion. The death of 347 passengers is a great tragedy. It will take time for Boeing’s reputation to recover. This is a case where many people at Boeing and the FAA dropped the ball. However, long term, the impact should be modest. Boeing's stock declined from $422 before the Ethiopian crash to $379, a drop of $24 billion. Before Boeing’s decision to cut production, the stock price recovered to $395. The damage to Boeing in 2019 is likely to be $1 to $3 billion. However, even if it is $5 billion, the stock is likely to achieve the $422 price soon after the return to service. The lower price earnings ratio makes it a buy.